In August of 2006, I somehow convinced three friends who didn’t even live in the state of Florida and didn’t have kids to travel to the Sunshine State and go with me on my very first Disney cruise. Now, by the title of this blog, you can probably guess how the story goes from here – but what you don’t know is that in those 12 years, I have gone on 21 Disney cruises, crossed the Atlantic Ocean on the Disney Magic twice, docked in Africa for a day, sailed on an inaugural sailing of the Disney Dream and eaten my body weight in ice cream. And while I may have gained a few pounds from the array of desserts onboard (hello, chocolate soufflé at Palo! ), I’ve also gained a lot of knowledge and affinity for Disney Cruise Line. Now, as a new cast member, I am excited to share that love with you right here on the Disney Parks Blog. 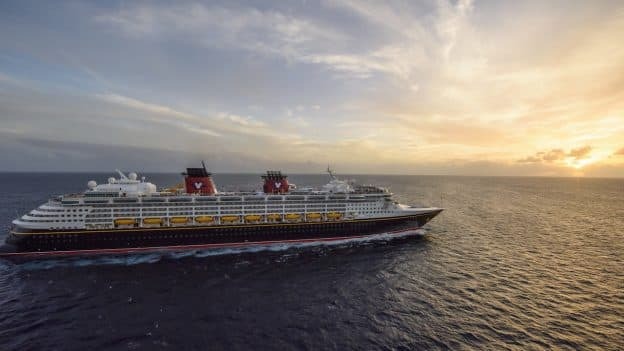 While there are a lot of exciting things on the horizon for Disney Cruise Line, to start us off, I wanted to pass along 12 things I’ve learned in 12 years of cruising! Disney cruises aren’t just for kids: Did you know that in all of my cruises, I have NEVER sailed with someone under the age of 18? While I am so looking forward to the day when I can bring my niece and nephew on a Disney cruise, the adults-only areas of the ship and Castaway Cay lend itself nicely to a unique vacation experience where you can do as much – or as little – as you want. 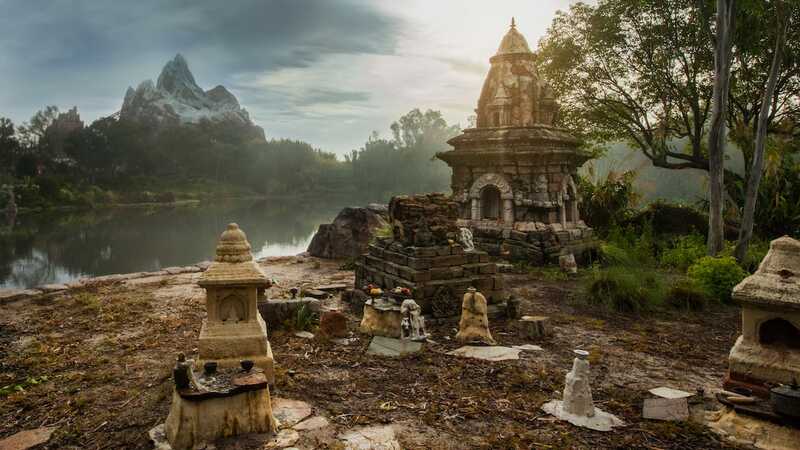 Everyone enjoys Disney cruises: While I have a core group of friends that I travel with, there have been quite a few others that have joined us over the last decade on various trips. 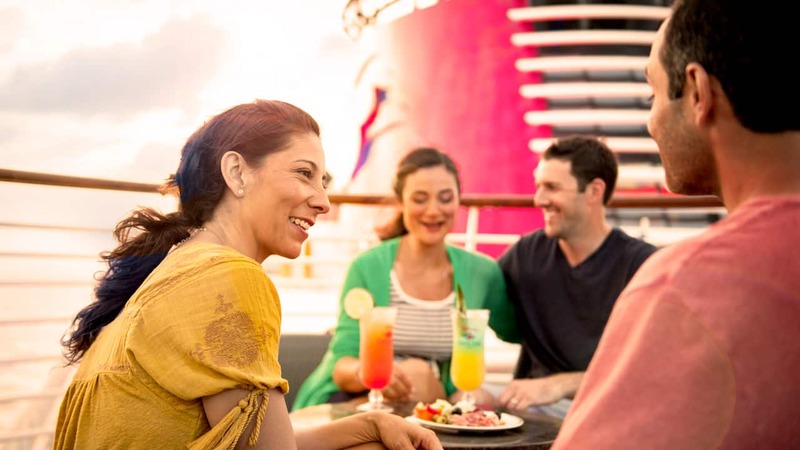 They vary in age range, occupation and interests, but there is one thing they’ve all had in common – they have all had a great time onboard and text me at least three times a month with, “when are we going on our next Disney cruise?? ?” My dad loved that he could watch college football on a recent Saturday out at sea, while I have other friends who wake up as the sun rises every day just to get the best seats by the Quiet Cove Pool. 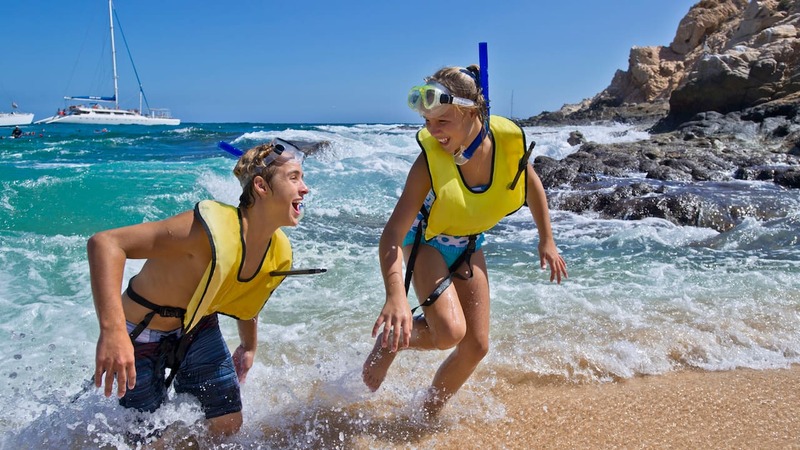 The all-inclusive nature of a Disney cruise, coupled with the variety of activities onboard, means that you can do whatever floats your boat (no pun intended). You actually can work out: The fact is, I love working out at home, and I feel much better eating 3.5 desserts every day if I at least keep up my workout routine while I am at sea. 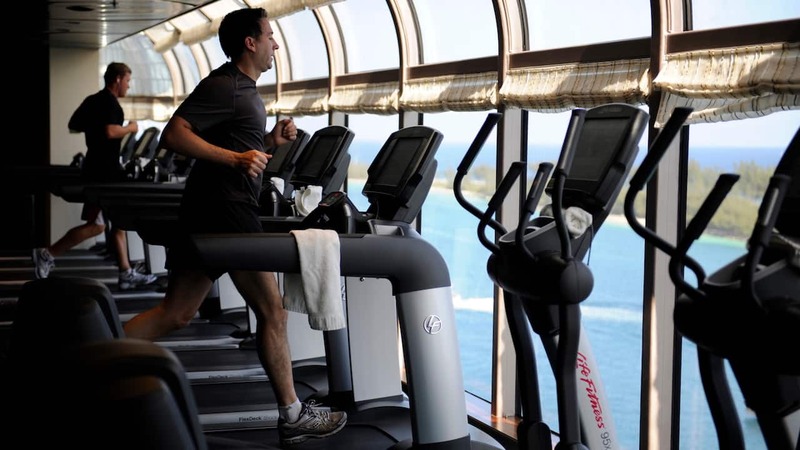 The fitness rooms are spacious, have great views and the trainers are very friendly and helpful. Whether you choose to take a spin class (shoutout to Thomas on the Disney Dream for the killer class last weekend) or run in the open air on Deck 4 (but why would you want to do that when there’s Thomas?? ), there are many reasons to take your tennis shoes out of the suitcase on your next cruise vacation! Go to the spa drawing: Speaking of the gym, did you know that on embarkation day, there is a drawing in the Senses Spa to give away packages and gifts? Whether you win or not, this is also a great way to say that you actually did make it to the gym while on your cruise. Go to Palo: One of the biggest things I’ve learned in the last 12 years is that I love a good filet with gorgonzola cheese sauce, and I have none other than Palo to thank for that. And if you’re trying to decide whether you should book dinner or brunch, my answer is simply… yes. Eat ice cream: OK, so I know I told you earlier to work out. But DID I MENTION THAT THERE IS ICE CREAM? That’s right – just call up room service to get your favorite Mickey ice cream bars delivered to your stateroom, or head on up to the pool deck where you can enjoy a cone in an assortment of flavors. 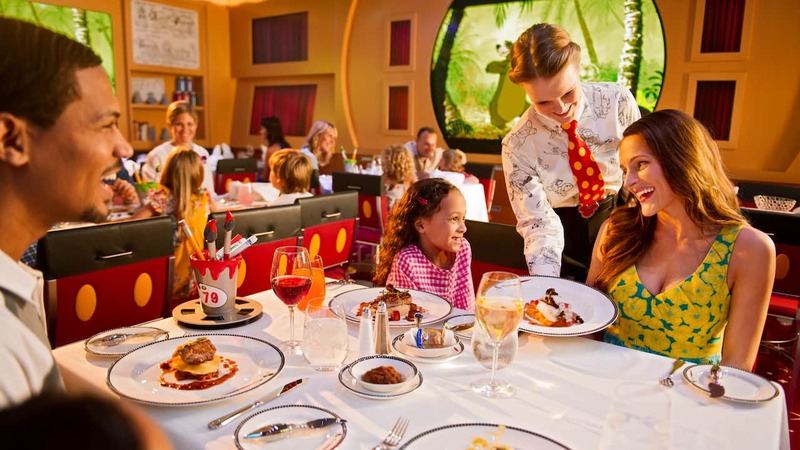 Everyone can find something to eat: One of thing biggest things I love about Disney Cruise Line is – you guessed it – the food! And what’s not to love? Dinner is always the highlight of my day because as you rotate through the three main dining rooms, your servers travel with you! And even the pickiest of eaters can find something on each menu, which changes every day. 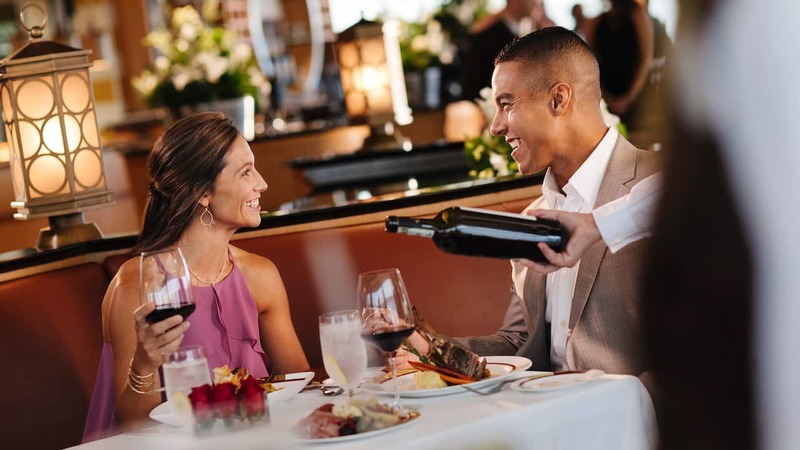 Add in complimentary room service, a buffet, quick service options and treats in places like Cove Café, and there’s no shortage of options for even the pickiest of eaters on Disney Cruise Line! Your Navigator app is your best friend: OK, now that the good stuff is out of the way (and by good stuff, I mean food), let’s get to some practical advice. Do yourself a favor before you leave home and download the Disney Cruise Line Navigator app. This unique app is a lifeline to what’s going on, from the hour-by-hour breakdown of activities, dining room menus and even the capability of messaging other guests onboard at no additional charge! 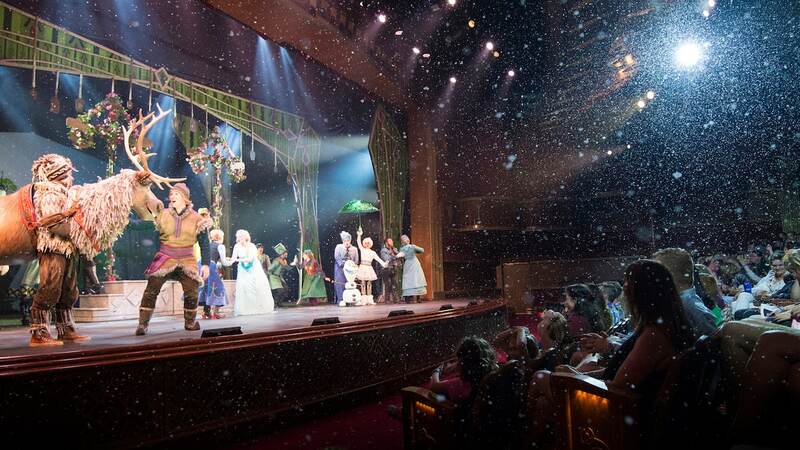 The shows appeal to everyone: Not only are there Broadway-style shows on Disney Cruise Line, but each ship has a different lineup and one “signature” performance. These shows are enough to make a rambunctious child sit still for one hour, a dad tear up or if they have the same effect on you that they have on me, you will just want to go back to your stateroom to watch On Demand Disney movies the rest of the night. Castaway Cay is magical: I recently went to Castaway Cay and captioned my photo on social media – “The Cay to my heart.” That pretty much sums it up, folks! Port Adventures can be the key to a great experience: Whether it’s sailing around an island for a day, having a tour guide bring you to a waterfall in the middle of the rainforest or taking a cooking class in Tuscany, I have found that port excursions offer opportunities to experience things while traveling that I would never be able to pull off myself. Cruising is a great way to see places you never would otherwise: Because of Disney Cruise Line, I have walked the black sand beaches of the Canary Islands, rode a camel in Tunisia, Africa, dodged monkeys at the top of the Rock of Gibraltar, met lifelong friends and even witnessed the day when my best friend met her now-husband. I can’t wait to see where Disney Cruise Line takes me next! Hi Melanie! I want to thank you for such a breathtaking read! I am a single mother of three and this will be our first cruise together! I am so excited that i dont know where to begin! Reading your post has cured some of my anxiety! I am really hoping for a “mommy moment”, without guilt! I can’t wait to share this experience with my family and friends upon returning home! Maybe we will cross paths on a future trip! Thank you again…best wishes! Thank you for posting this! My husband and I are HUGE Disney fans and will be taking our first cruise on the wonder Feb9-14th and we can’t wait, this was helpful!! Thank you, Christina! I appreciate the feedback! If you have any questions, please let me know! Beautifully written and well said. I completed my 7th Disney Cruise in Alaska this summer with my family, and I can’t wait to book our next cruise. As you stated, there are many reasons to love DCL, and I love that even as my kids get older, the cruise line grows with them. Thanks for the feedback, Alecia! I couldn’t agree with you more! Agree and I’ve learned lots over the past 20 years, all 4 maidens and 83 cruises with 7 more booked. It is a definite addiction and no other cruise line will ever compare. They truly do have something for everyone. Wow, I have some catching up to do, Barbara! Hopefully we will cross paths someday soon! 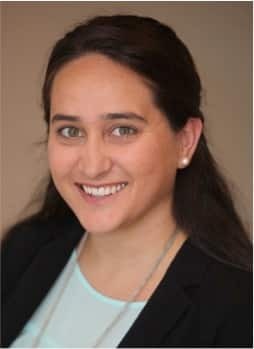 Welcome aboard, Melanie! And as a single adult cruiser, I must agree with just about everything you said! Looking forward to my next adventure out of Miami in December, it’s been too long. Happy to hear that, Brian! I hope you enjoy your upcoming sailing! Welcome to the blog Ms. Melanie! Thank you and thanks for reading, Skip! Great read, Melanie! I 100% agree with everything that you summarized above. And, congratulations on your new role. I am looking forward to reading many more from you. Thanks, Robert! I really appreciate that!